As Georgetown University prepares to launch a master's degree program in Learning and Design, a new academic discipline built around the study of education technology, learning analytics and instructional design is starting to take shape. Leaders in the field are "bringing about a set of practices that require a knowledge base, that require an ability to share information and that start to form a set of practices that we can all share — but also resist, test, push back against and challenge each other on," according to Eddie Maloney, executive director of the university's Center for New Designs in Learning and Scholarship. In a lively Future Trends Forum video chat last week hosted by consultant and futurist Bryan Alexander, Maloney made the case that now is the time to think more deeply about the role of technology in teaching and learning. Analyzing all the components of the work he and others in the field do around education technology, he said, "We can see it as a way of engaging around a set of problems that we think are important but that we don't think have a single solution. There may be multiple solutions that require research, that require an approach that I think mirrors or suggests the contours of a discipline." program, as does Purdue. So why the renewed interest in 2016? Has an accumulation of practice built up gradually, or has something occurred in the last year to make this happen? Maloney, who is also professor of the practice of narrative literature and theory in Georgetown's Department of English, has observed a trajectory in the discipline of education technology over the last four years. "We saw 2012 as an inflection point regarding the role technology plays in higher education," he said, referring to what The New York Times dubbed "The Year of the MOOC." As Maloney explained, the "MOOC moment" began to challenge some assumptions about the work educators do, the stability of that work and its location. "Over the past four years, as we have seen that MOOC wave rise, crest and either fall or plateau. We have started to build capacities to think about technology, design and learning as core and central problems," he said. "Once we built that momentum, we started to raise questions about what that role is; about why we need to challenge some assumptions we have about the role of technology in teaching and learning; and how technology, design and analytics are helping us to do that better." The momentum developed over those four years has highlighted some gaps, Maloney insisted, but also some strengths, continuity and consistency that people focused on this topic can leverage to make sure it is part of the core of institutions of higher education. "We have seen an evolution in the understanding of the impact of the work we do." Something else that has changed since 2012, Maloney added, is that senior leadership has begun to pay attention to learning as a problem higher education needs to do better at. "Many of us have been talking about this for a long time — that colleges and universities are not just about research and creating new knowledge, and that the practice of teaching needs to be brought back to the center. In some ways you can credit the pressure of technology and online education as pushing learning back to the center of a lot of conversations. Let's leverage that to make sure that in four or five years we don't just retrench back to the place where we were and where we allowed that fear or anxiety about disruption to erupt so prominently." Video chat participant Josh Kim, director of digital learning initiatives at the Dartmouth Center for the Advancement of Learning, asked Maloney if universities would fund new programs to study education technology instead of other initiatives, or whether these new programs have to generate revenue to fund themselves. Where would the money come from? Maloney noted that colleges and universities are under great pressure to become more efficient and provide increased value. They must look at new tools and approaches to reach students. He said that grant-making agencies are willing to invest in the education technology space because it does address some of the economic issues of the affordability of higher education. "Some of us are finding opportunities to create revenue for institutions while trying to invest in this space," he added. He noted that at Georgetown, his center is not just separating out the revenue-generating piece in schools of professional studies or online programs, but trying to make those an integral part of the discussion about re-centering learning, "so we are not always seeing these as separate activities, but connected activities that we have to pay equal attention to." Dave Cormier from the University of Prince Edward Island asked Maloney how he would explain to campus decision-makers the difference between learning technologies and scaling technologies. Maloney responded that high-impact practices and technologies that have a track record for changing the ways students engage with material and encourage deeper learning cost a lot of money to develop. "They are not the tools we can invest in wide-scale," he said, whether they are unique tools or building on platforms in adaptive learning or connecting students with high-impact experiences like living abroad. "Those are the kinds of things we know matter but don't have a good way of scaling," he added. "My hope would be that as we continue to show those edge technologies that are really valuable, they would continue to feed back into the scale technologies. We have seen that happen in many different contexts — things that 10 to 15 years ago were boutique are becoming part of the practice we have. This video chat technology we are using right now is an example. It is a relatively recent tool. Once we get it right, connect it to teaching and learning and build that platform, it can become part of the practice." In closing, Alexander asked Maloney if indeed educational technology becomes more of an academic discipline, what could that lead to in five years or beyond? 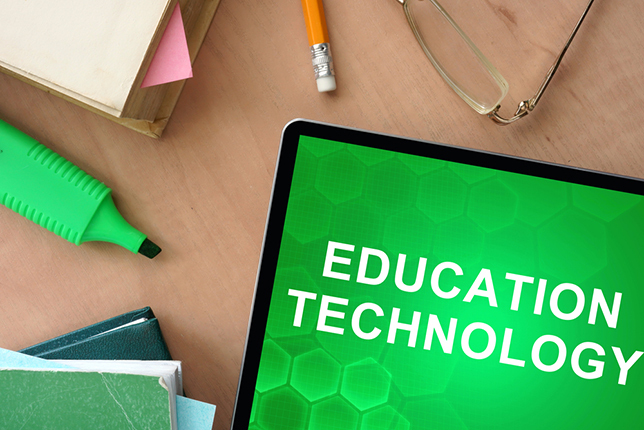 Maloney said educational technologists realize that higher education has to be more flexible. "We can create a community at our institutions that can pivot more quickly than institutions of higher education have been able to pivot," he said. "We have all invested in enterprise tools that have become locked in. You get a course management system, a student information system, and it becomes very difficult to move students and faculty off those tools. The idea that educational technology is the new space that allows people to be agile has not proven to be true. One of my hopes in the work we are doing is not just that we are figuring out what the next tool or pedagogical approach is, but also creating an environment where people feel comfortable being agile. That is a mindset. It doesn't matter whether faculty and students use Apple, Google or Blackboard tools, but that faculty members feel comfortable teaching with one tool one semester and another the next if that is what they know will be more effective for students."